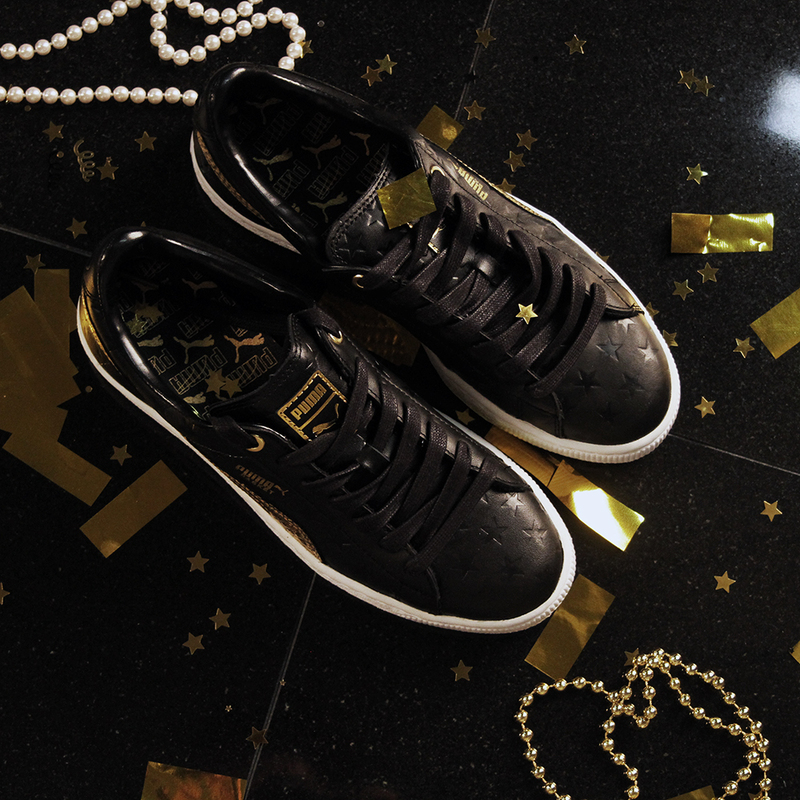 Legendary characters inspires a festive release. 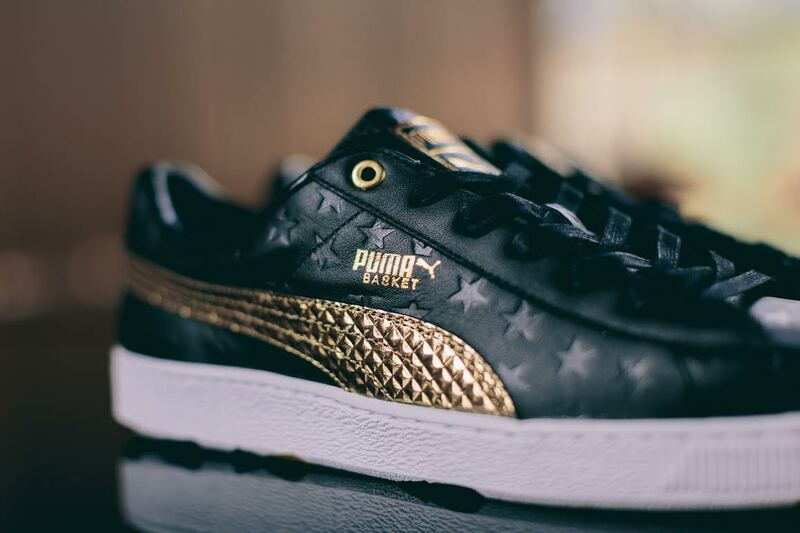 VILLA and Puma officially unveil their latest sneaker collaboration, a glammed up version of the Basket inspired by The Great Gatsby. 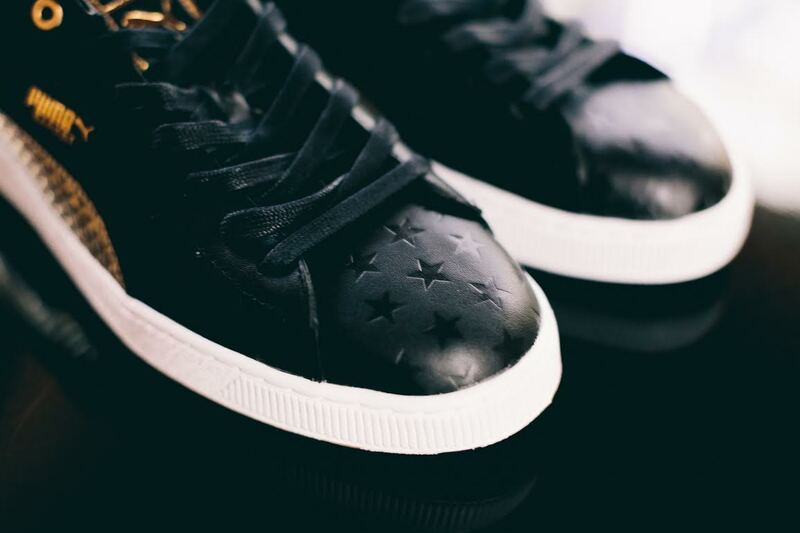 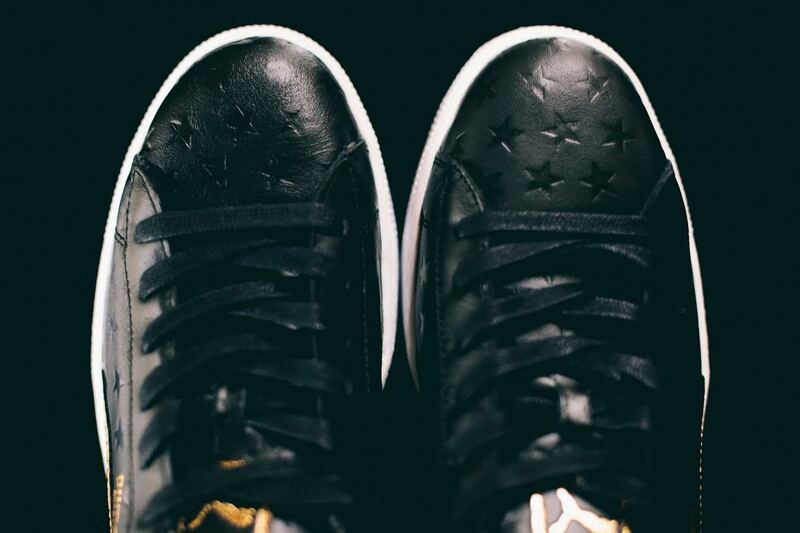 Fitzgerald's mysterious millionaire is celebrated with a metallic gold accented make-up of the low-top, with a debossed star pattern repeated throughout the upper. 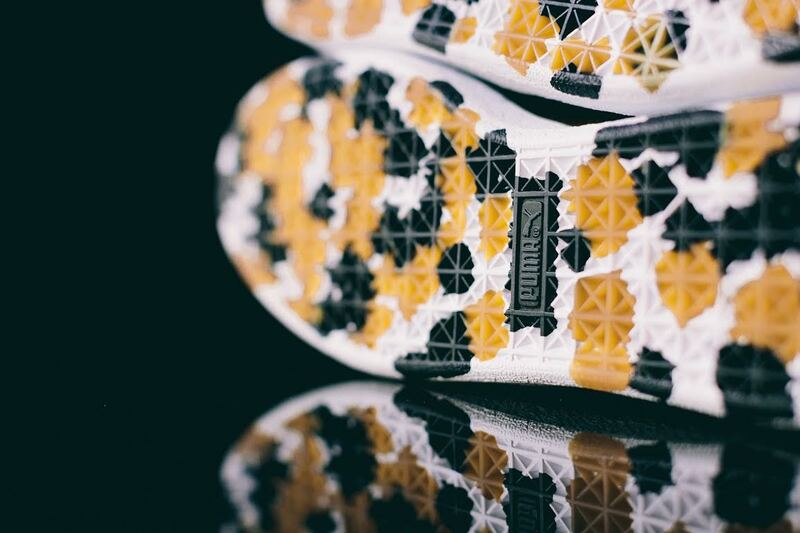 A confetti outsole caps off the festive theme. 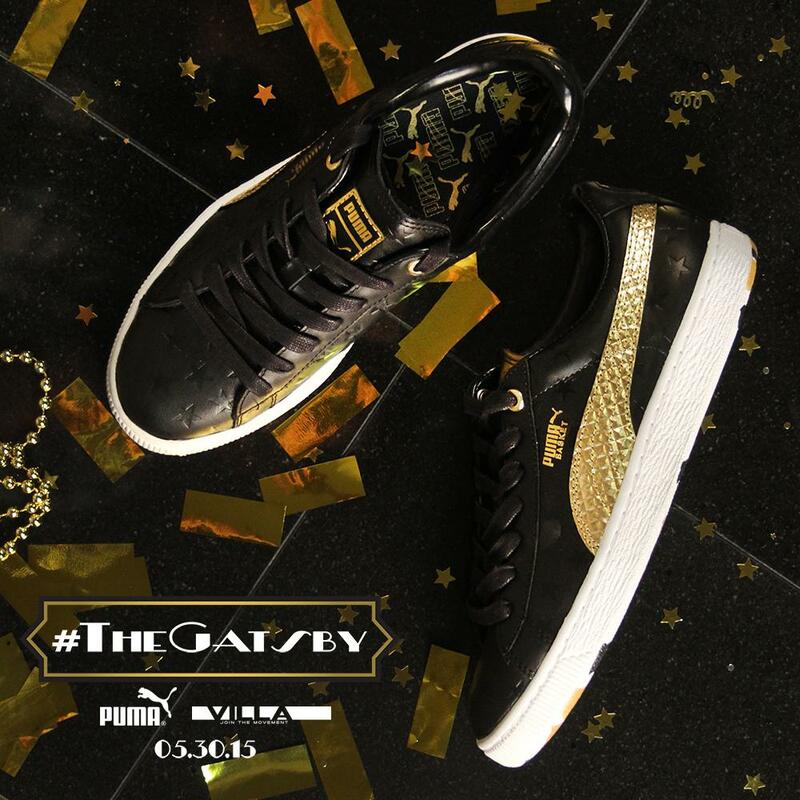 The ‘Gatsby’ release is set for Saturday, May 30 at ruvilla.com and VILLA stores for $100. 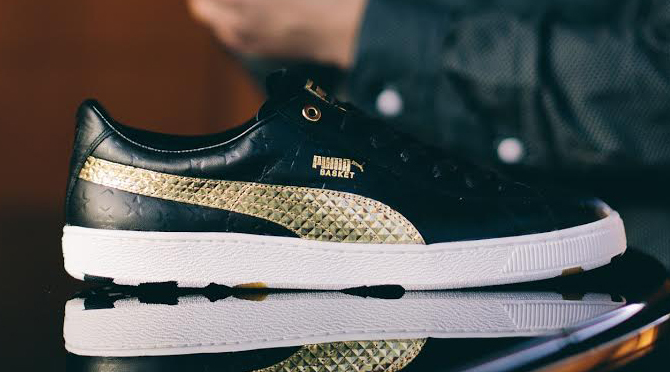 UPDATE 5/19: Official imagery on the Villa x Puma Basket "Gatsby."